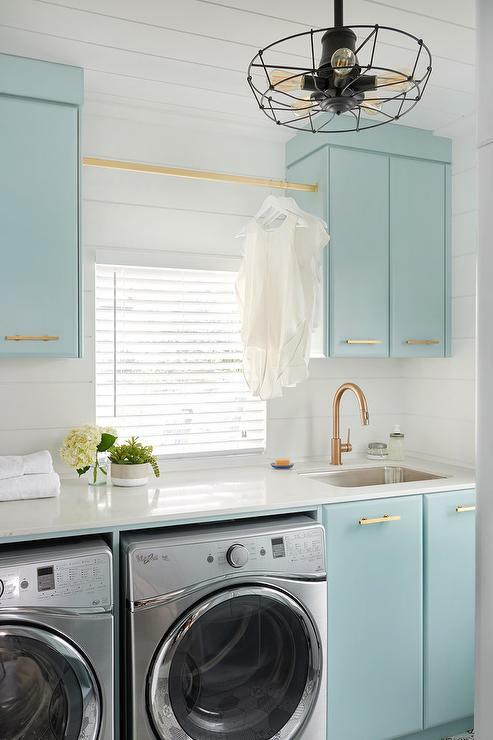 Your efficient Laundry Room is just a few hacks away! 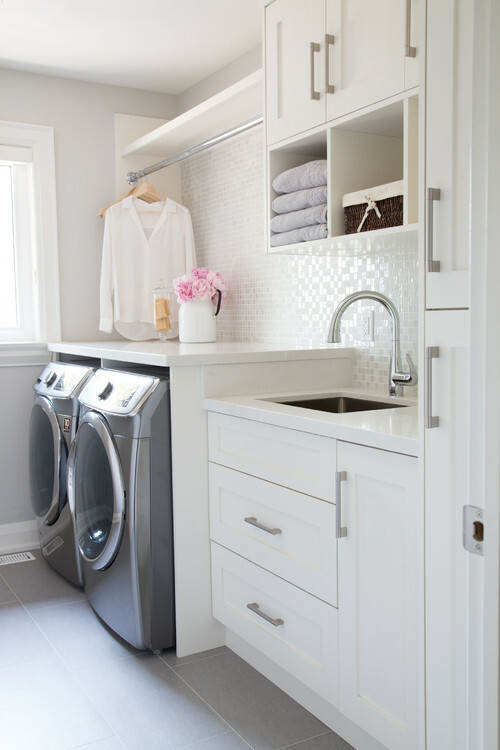 Continue reading to learn our cost effective tips on how to make the most out of your Laundry space starting today. 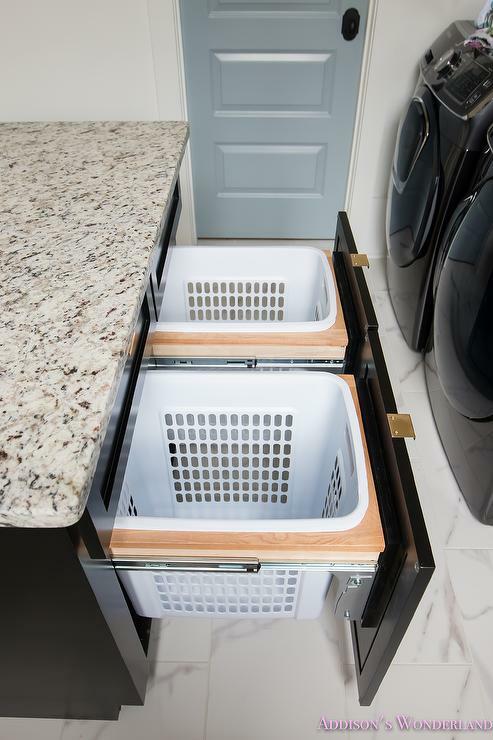 Find matching containers to house all of your laundry products so that all of your products look cohesive and sleek. Stick with glass or clear plastic containers with lockable lids for child and pet safety. 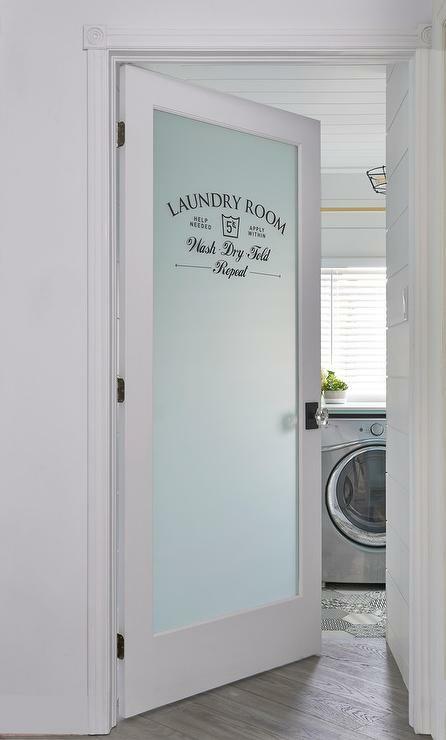 What better place than the laundry room to house your Ironing Board? Take the time to iron your clothes once they come out of the dryer to ensure all clothes are wrinkle-free. This will save you time getting ready in the morning since your clothes will be crisp and ready to go. Ironing boards have come a long way too and don't need to be unsightly. You can either install a pull-out ironing board in a cabinet or even mount a pull-down ironing board to the wall. Ugly wire hanging contraptions are a thing of the past. If you have the space, use it! Install a clothing rod between cabinets or on an empty wall so that you can hang up sweaters and other shrink-ables with ease. Print out a Laundry Symbol Guide and frame it to easily showcase what each symbol stands for. Never wonder about what those symbols mean again and care for your clothes properly with this helpful list. The least expensive dryer sheet hack hack is to use aluminum foil. Everyone already has aluminum foil in their pantry so it will be at no extra cost to you to use. Ball up a sheet of aluminum foil and pop it into your dryer to help remove static. It’s reusable and saves money. 6. The more bins the merrier! Use sorting bins to separate the colors of your clothing for quicker washing routines. When you wash colors, lights and darks separately, you decrease the chances of colors bleeding into one another. This will reduce the chances of turning your white shirts pink or even blue from the dye in jeans. Didn’t have time to iron? Throw that shirt into the dryer with an ice-cube or two. Melting the ice cubes will steam out wrinkles and the shirt will be ready to go within minutes. Constantly looking for the right pair to your lonely sock? Next time you throw them in the wash, use a safety pin to keep pairs together. You won’t lose a pair with this technique and you’ll save time matching them up after they're out of the dryer. Swiffers, Brooms, and Vacuums, oh-my! 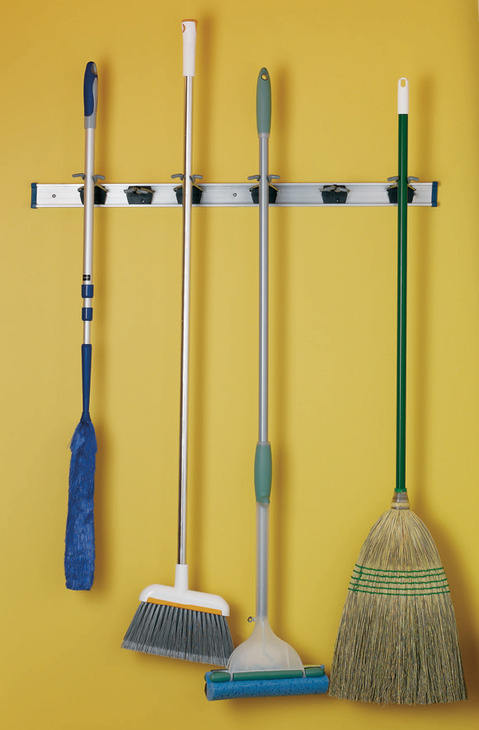 Add a utility rack to efficiently hang all of your cleaning tools. Showcasing these tools on a sleek utility rack can help keep your floors looking clean and your tools off the ground. Closet Butler is a Hafele Affiliate. If there is any storage, closet or drawer system our clients want to order from Hafele, we can order it for them. 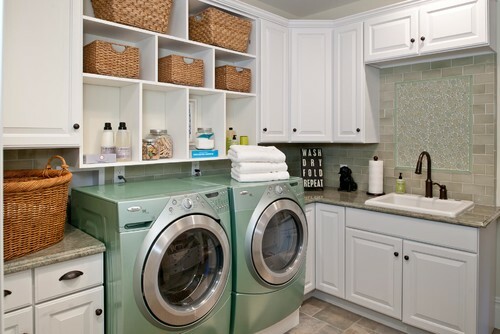 The right cabinets can add a touch of elegance to your Laundry Room and enhance your storage possibilities. People often forget that cabinetry not only enhances storage efficiency but will also streamline the look of any room. Clean and sleek cabinets instantly add elegance to an otherwise not so elegant room. Here at Closet Butler, we specialize in finding Sophisticated Storage Solutions for all of your spaces, including the Laundry Room. Contact us to schedule a FREE In-Home Consultation, where one of our designers will evaluate and design custom storage solutions to fit your budget and family needs.